I am employed full-time at a tertiary-care, academic and level-one trauma medical center at The University of California of Irvine located in Orange, CA. I am blessed with two wonderful children, a supportive husband and a career that I love. I am still learning how to juggle it all, but the way I try to achieve a work-life balance is through exercise and travel. I try to incorporate physical fitness into my daily routine. Going on a run while my two young boys ride their bikes affords me time with my kids while being able to decompress. I love to travel and experience different cultures…especially food. I recently traveled to Spain and France with my family and a few dear friends. The quality time with my loved ones while exploring different countries refreshed my mindset when I returned to work. I enjoy providing anesthesia for many surgical subspecialties, so it is hard to choose a favorite. I particularly enjoy managing pharmacology and physiology for neurosurgery and thoracic-foregut procedures. 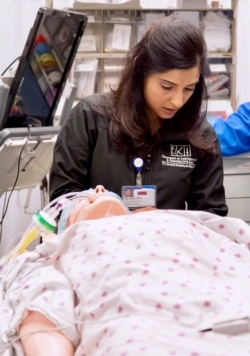 I like doing my part with improving the patient experience by employing evidence based techniques, such as enhanced recovery protocols, in order to improve outcomes. Some of my favorite memories of doing the work I love was while providing anesthesia on medical missions in the Philippines. I attended five surgical missions around the province of Luzon, PI. 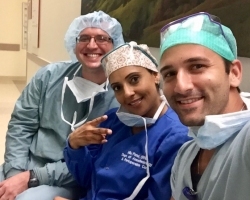 Being involved in the care of life-enhancing procedures, such as pediatric cleft lip and palate repair, microtia repair and burn contracture release, was deeply rewarding. 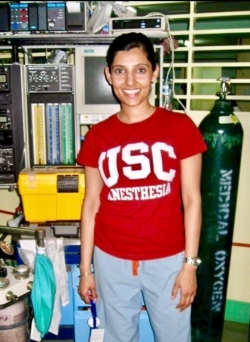 Providing anesthesia in a third-world country with limited resources and technology is incredibly enlightening.